In a conservative region of Indonesia, one woman is leading her cooperative through exponential growth. In the misty Gayo highlands of northern Sumatra, Ibu Rahmah is making her mark on Indonesia’s coffee industry. Twenty years ago, Rahmah began working as a small trader, purchasing a few pounds of hand-picked coffee cherries from individual farmers and reselling them to larger traders. Through her work she spoke to hundreds of farmers, and time and time again they expressed a single desire: To form a cooperative, and fight together for more rights and better pay. When Root Capital restarted its lending in Indonesia in 2014, we looked to Ketiara first. We started with a $550,000 trade credit loan—financing that allowed Ketiara to pay farmers in the interim between harvesting the coffee and selling it on the global market. Since then, the business has grown with us. We increased their loan size to $1 million in 2015, and then to $1.5 million in 2016. The cooperative has paid back each loan in full. What sets Rahmah’s leadership apart isn’t just her keen business acumen; it’s her commitment to social justice. After her election as chairwoman, Rahmah led the cooperative to pursue Fair Trade certification so that farmers could receive a premium price for their coffee. Under Rahmah’s guidance, the farmers of Ketiara chose to invest that premium into better healthcare, education and infrastructure for their community and long-term improvements in their farms, ensuring that they can thrive for years to come. While she recognizes that all coffee farmers face challenges, Rahmah is particularly invested in the success of women farmers. Gayonese society is by and large traditional, conservative, and male-dominated. In a region where many women must consult their husbands for financial decisions, a woman who runs a business is rare. But Rahmah is determined to change this. And to do so, she’s making sure that women can succeed—one woman at a time. First, Rahmah ensures that her cooperative remains inclusive of women farmers. 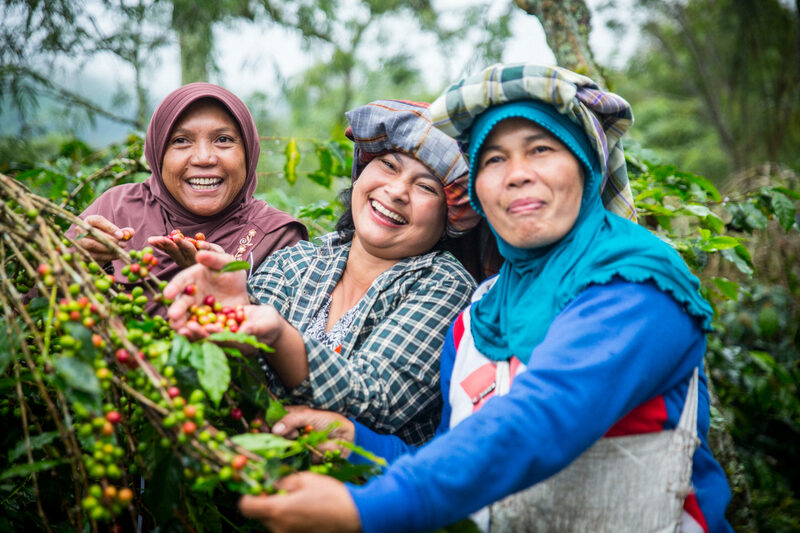 Of the 1,900 smallholders that grow coffee for Ketiara, more than 40% are women. Additionally, under her leadership the cooperative developed a line of coffee grown only by women, dubbed “Queen Ketiara.” This women’s line of coffee has become one of the cooperative’s greatest assets. For the past several years, Ketiara’s women have supplied high-quality beans for Allegro Coffee’s “Café la Dueña” line, which is distributed in Whole Foods Market’s stores across the United States. Because of Rahmah’s leadership, nearly 2,000 Gayonese farmers are getting a better deal. But perhaps more importantly, she’s sending her community an important message: that putting women in charge pays off.